My hubby is the designated breakfast cook. Not only is he good at it, he's the only one up early enough to do it! Flour, baking powder, baking soda and salt go in a bowl. He usually makes a buttermilk substitute (lemon juice + milk), but I convinced him to try SaCo's cultured dry buttermilk powder. meanwhile, the egg whites are whipped up in the KitchenAid stand mixer until stiff peaks form. 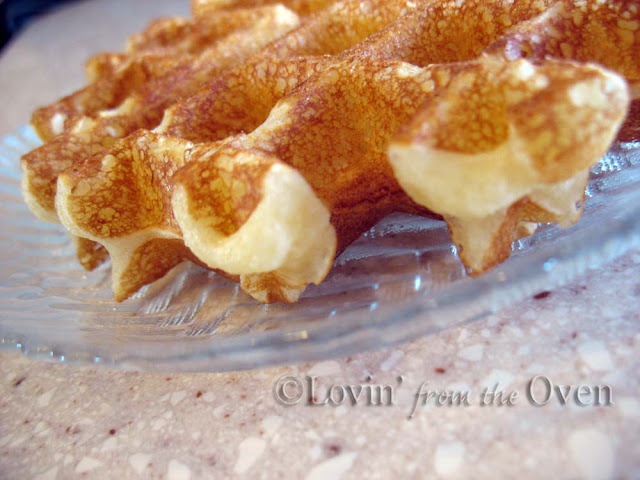 This is the secret to light, airy, waffles. 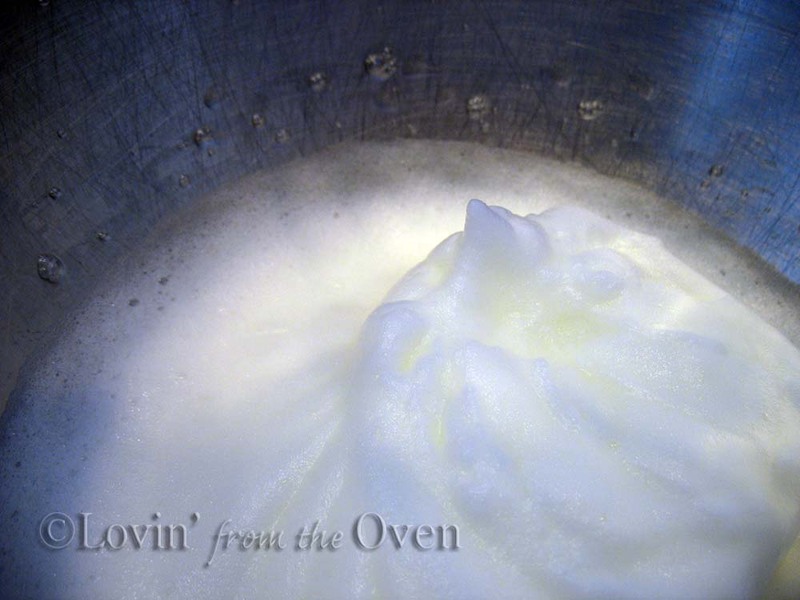 The whipped egg whites get gently folded into the dry ingredients. The batter is poured into a preheated waffle maker. all you do is close the lid and flip it over. you open it to find a golden waffle! These cook up really quickly. There is very little wait time. What do you like on your waffles? 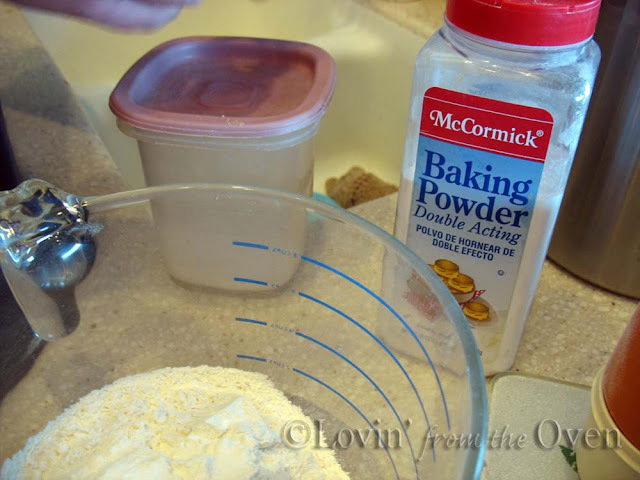 In a mixing bowl, combine flour, baking powder, baking soda and salt. In another bowl, beat egg yolks, add milk and oil. 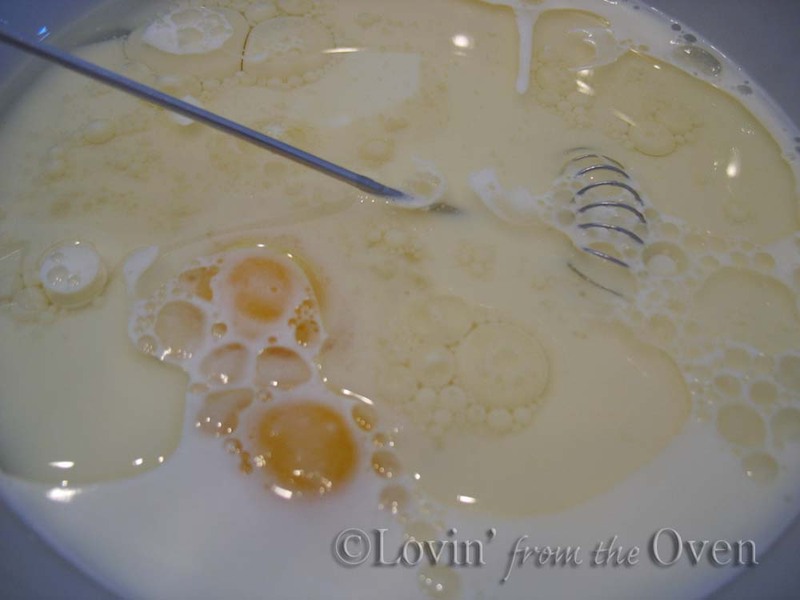 Add egg yolk mixture all at once to dry mixture. Stir until just moistened. Batter will be lumpy. Do not overmix. 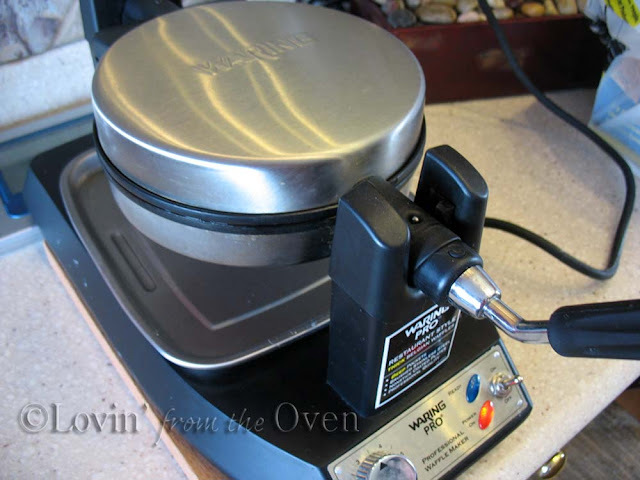 Beat egg whites in an electric mixer until stiff peaks form. 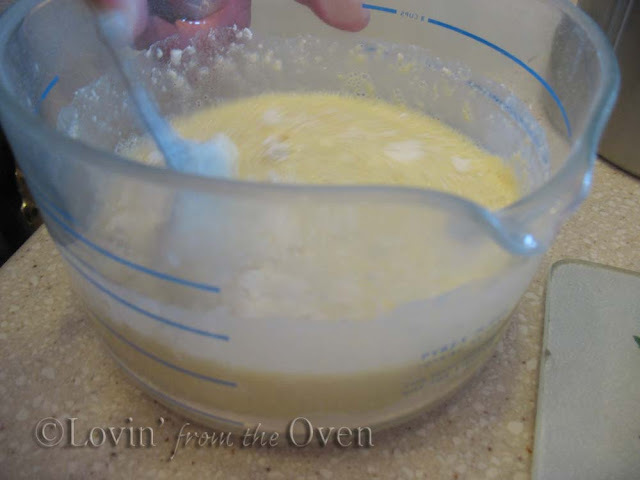 Gently fold egg white mixture into wet batter, leaving a few bits of egg white. Do not overmix. 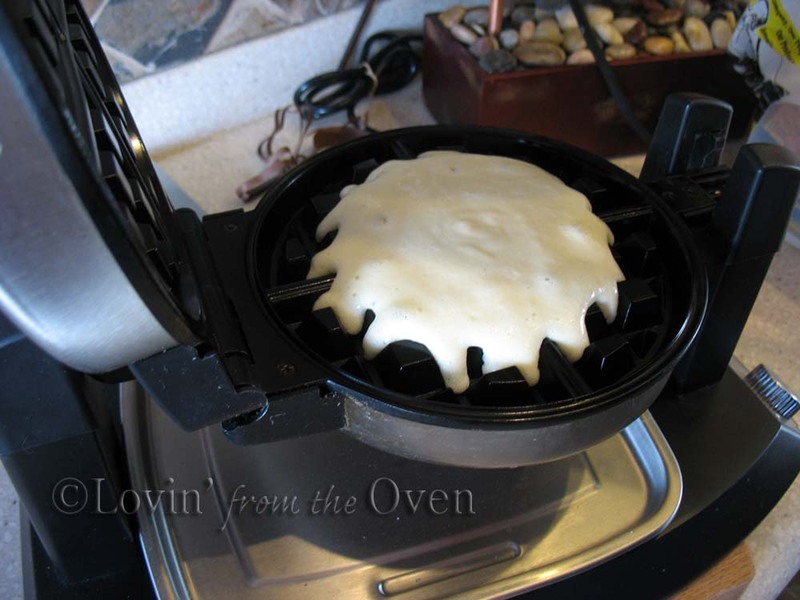 Pour about 1 cup of batter onto preheated waffle maker. Close lid and do not open until desired doneness is reached. Yum! If you'd like a real authentic Belgium waffle, there's a place downtown across from Pioneer Park on 300 S called Bruges. 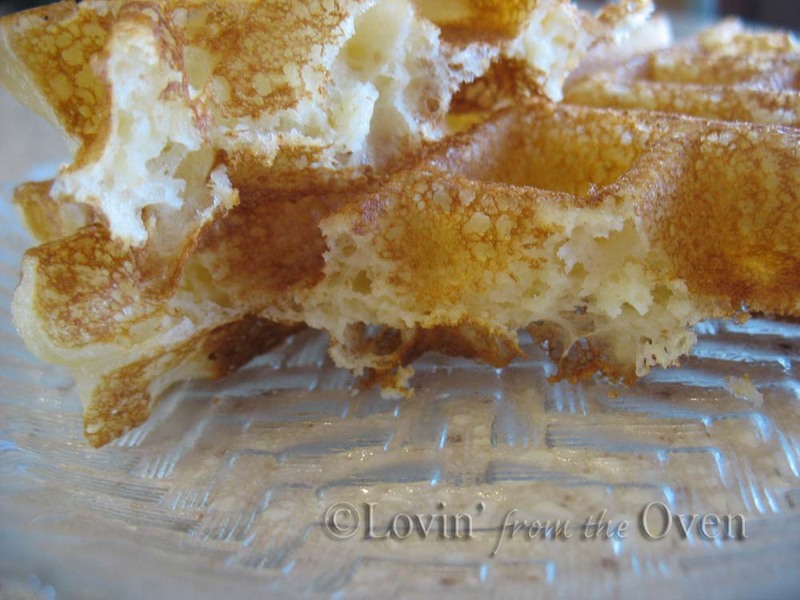 A real Belgium waffle is a dough (what you're good at, right?!) and has sugar crystals in it. YUM!! This place also has Belgium Frites (or french fries) with lots of different kinds of dipping sauces. If you go, try the Andalouse sauce- it's excellent! 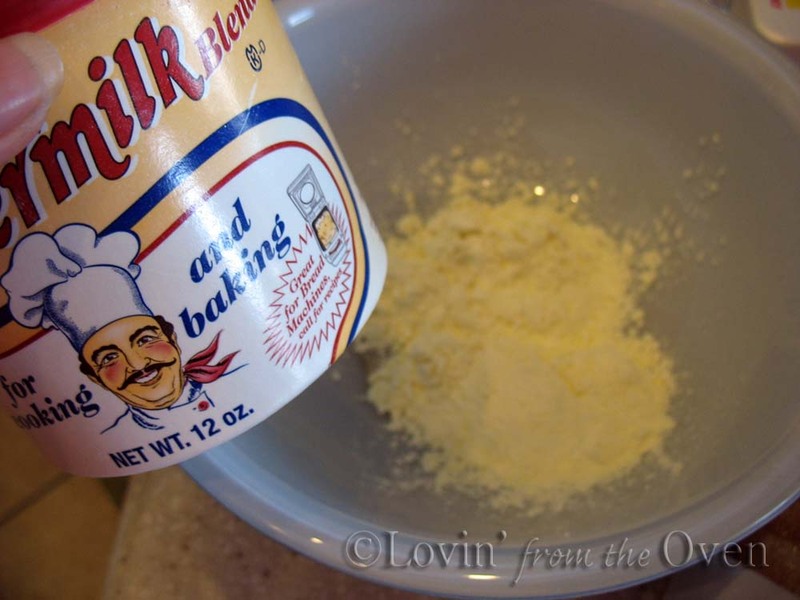 The powdered buttermilk is great to have in your fridge as a backup! I use it in many of my "mix" recipes. My husband is also the breakfast person in our family, just ask my kids. How wonderful that your husband cooks breakfast! What a treat! Your Belgian waffle maker looks fabulous- as do the waffles. 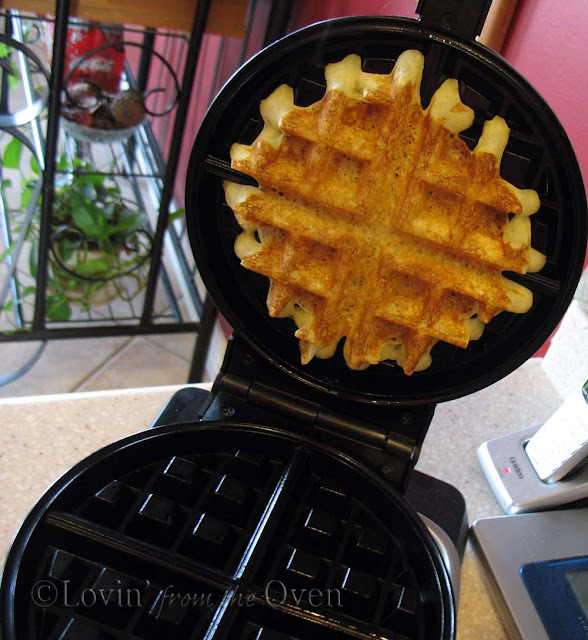 O.k., ladies, looks like I need to try a REAL Beligium waffle, eh? Laurie, I used to do a bunch of the make-a-mixes, I forgot all about them! You are a lucky lady - the waffles look delicious. I used your waffle recipe this morning. Light, crispy on the outside and soft in the middle. It was so hard to not eat the entire batch myself.